Mayor of Goulburn Bob Kirk’s apprenticeship for public life began in a barbershop and will end in a building blitz. “Out there in ‘Facebook land’ young people say it’s time for the old farts to leave,’’ Cr Kirk says. He will do no such thing this term. Yet it could be his last. From his Bourke Street office Cr Kirk can see a Clifford Street coffee shop being rebuilt, where he once lived. His thoughts turn to ‘Facebook land’ and the councillors it has endorsed, and the need for them to lift their game. What can be done about this half-hearted effort? Instead Cr Kirk is looking at the next decade of building new bridges, roadworks and infrastructure upgrades. The council has more than $98 million in reserve, invested in various bank accounts, but a mountain of infrastructure from pipelines to roads to swimming pools to upgrade. “A lot of this stuff is catch up, but the sewerage treatment plant is almost 100 years old, unfortunately growth and age have impacted on that, it had to be done, but provides for a growing city and recycled water that will change the complexion of the city,’’ he said. Cr Kirk looks composed as a first term Mayor. 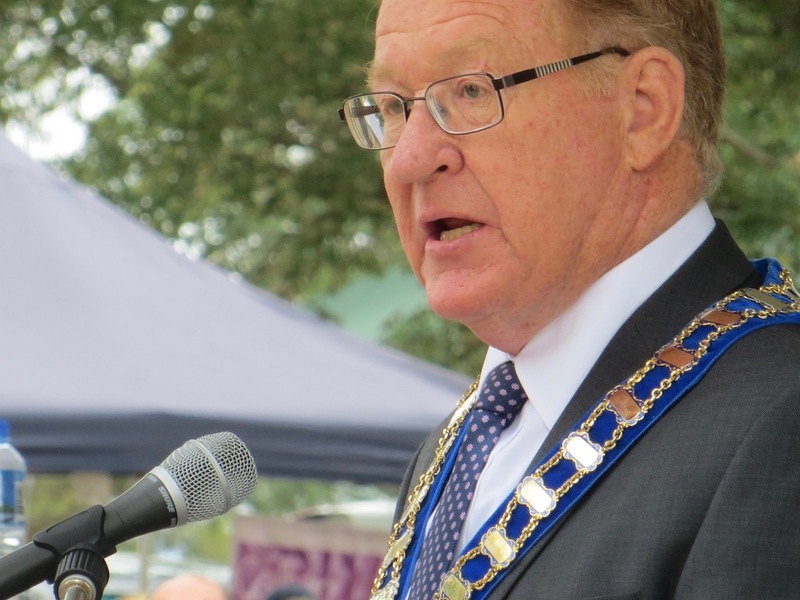 He agrees the 2451 primary votes he received at the September council election gave him confidence for his new role after eight years as deputy mayor. Looking back to his childhood, the eldest of three boys, abandoned plans for a military career to accept barber Ian Grant’s offer of an apprenticeship for six pounds, three shillings a week. His parents Doug and Heather had long separated. He wanted to give his mother a hand. They lived in Clifford Street, in an E.C. Manfred-designed, two-story duplex that has since been demolished. An uncle tipped him off about a job at the Commonwealth Bank which he filled, doubling his weekly wage. He transferred later to Canberra, then Albury, to a branch that stood opposite the Albion Hotel where his future wife, Dutch-born Christal, was working. They married in 1973. Promoted to deputy manager at a regional office at Wagga Wagga, he missed the face-to-face dealings with customers, and later accepted another promotion in Goulburn. When he left the Commonwealth Bank the family moved from its bank premises to Ridge Street opposite bushland. He fired off a flurry of calls and emails to the council wanting action on illegal dumping and trail bike riding. A new walking track, main street beautification, aggressive marketing and imaginative projects have startled the community, but in this Mayor many people see a leader, adept at handling criticism and a safe pair of hands. “I like to think I am an even handed, analytical, conservative sort of person, that comes through in the way I approach all the issues that come to council,’’ he says. Captions: top, Mayor Bob Kirk speaking publicly. Photo: John Thistleton. 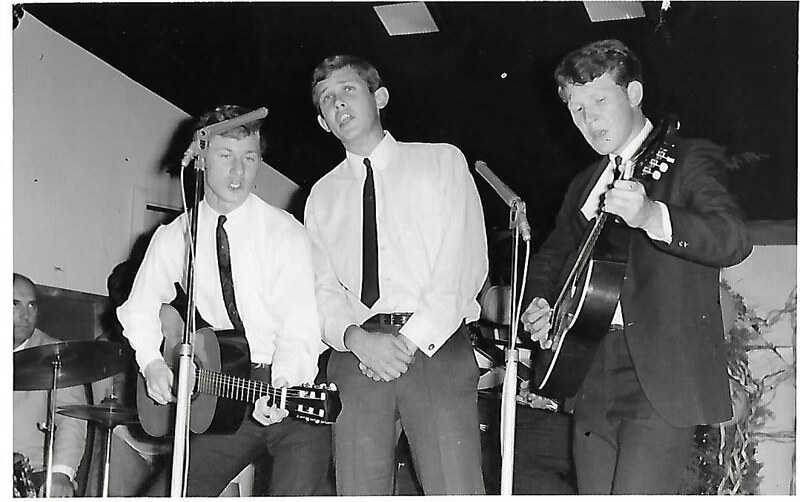 Middle photo: Bob Kirk at right with fellow bank musicians in 1970. 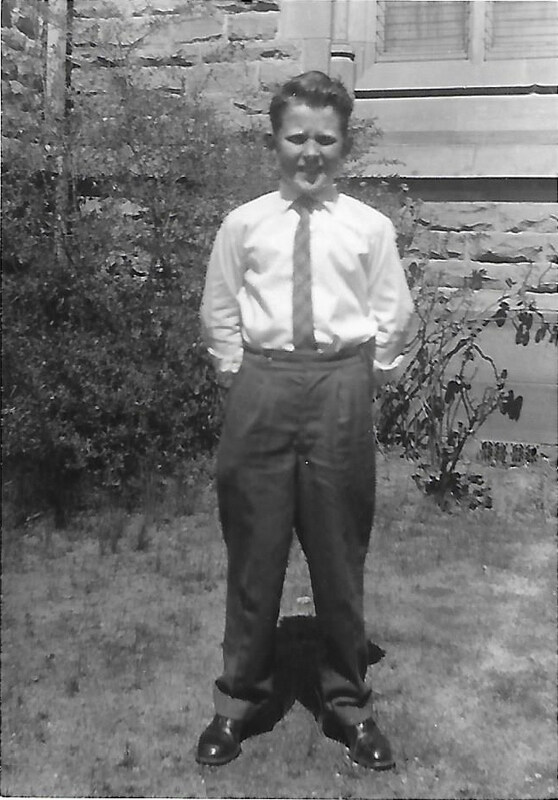 Above, on his confirmation day in 1962. Photos supplied.